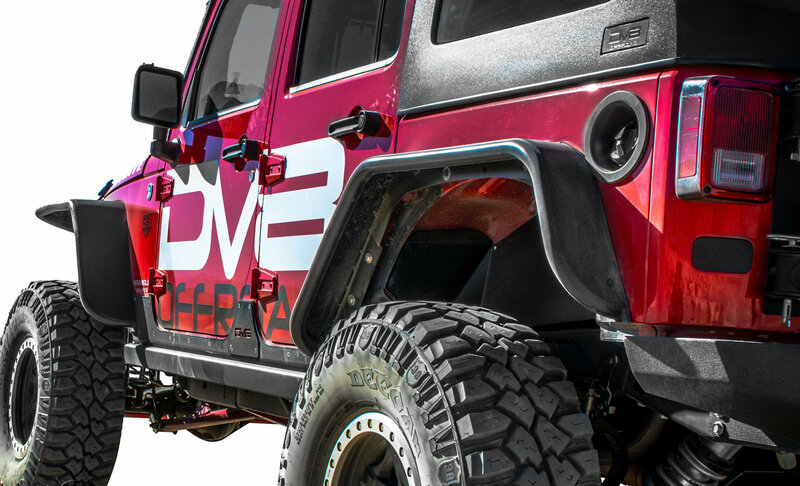 Buy a Set of DV8 JK Tube Fenders, Get a Set of Front Inner Liners for Only $29.99! 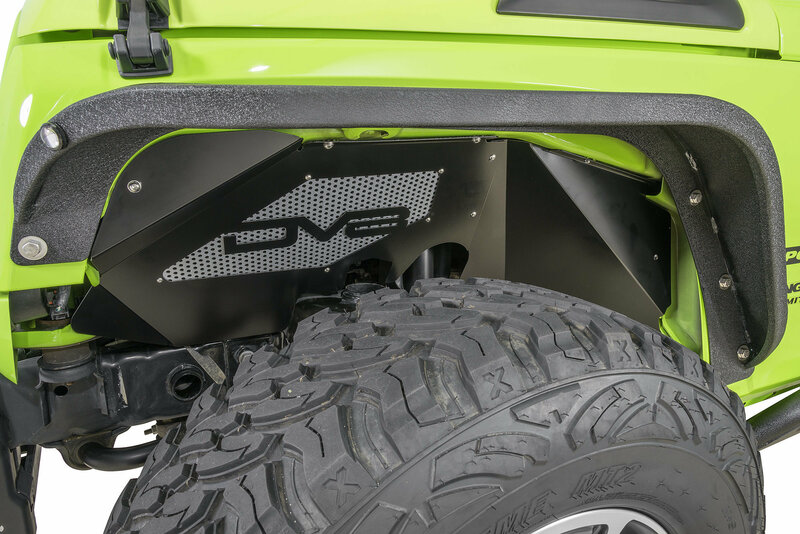 DV8 Offroad Flat Fenders provide more tire clearance and more ability to fl ex. 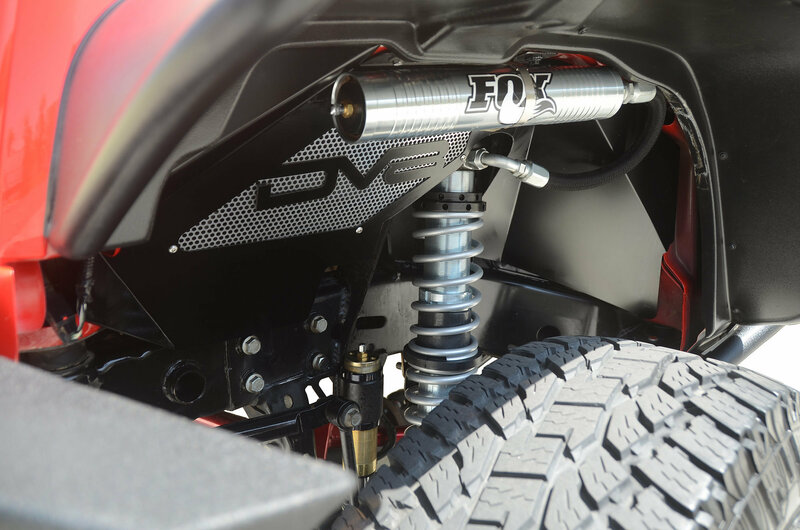 They come with internal bracing to ensure strength and durability. 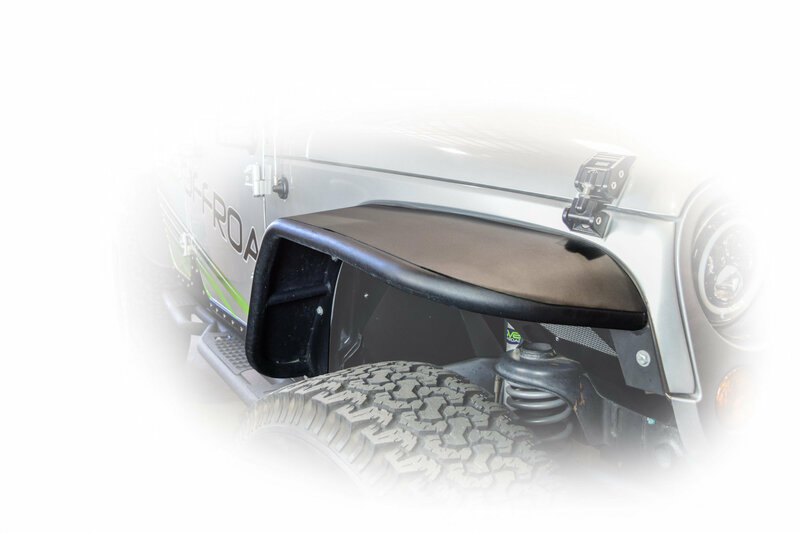 They line up perfectly with the JK body lines and installation is extremely simple. 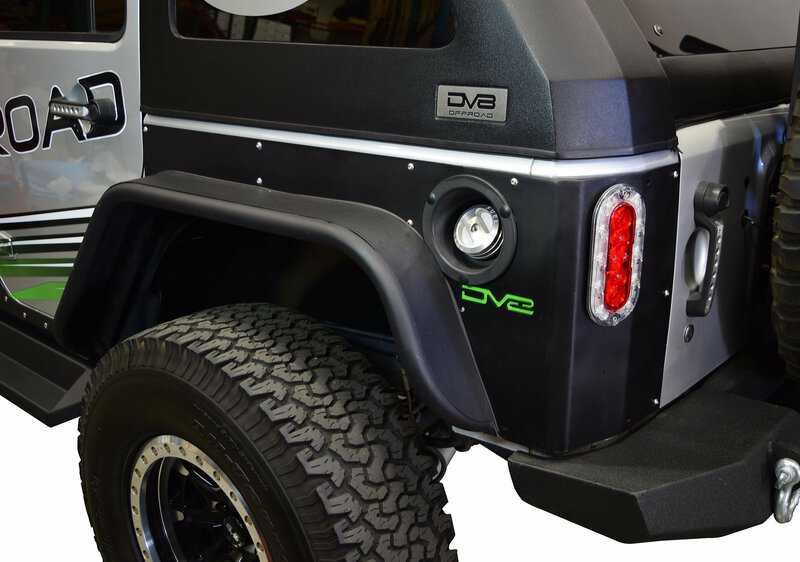 DV8 fenders also come with exclusive turn signal mounting bracket, which can be used to mount an aftermarket turn signal light. 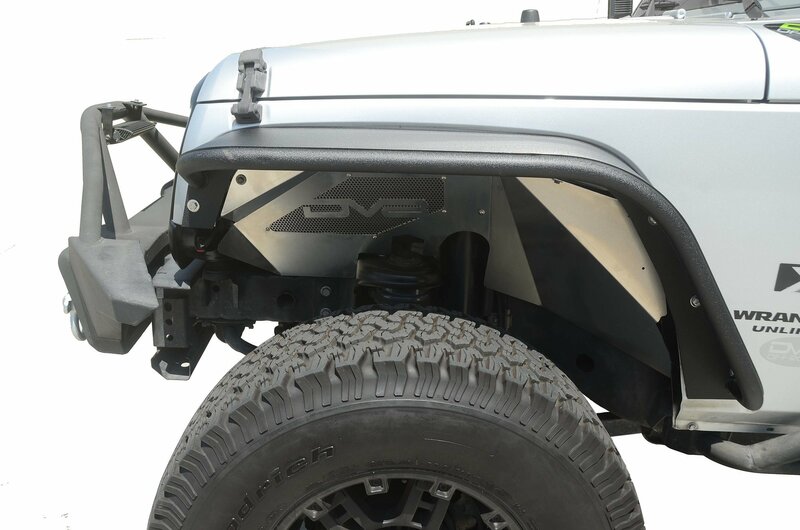 Ditch the factory plastic fenders which leave your JK vulnerable to expensive body damage, and upgrade to DV8 steel fenders. 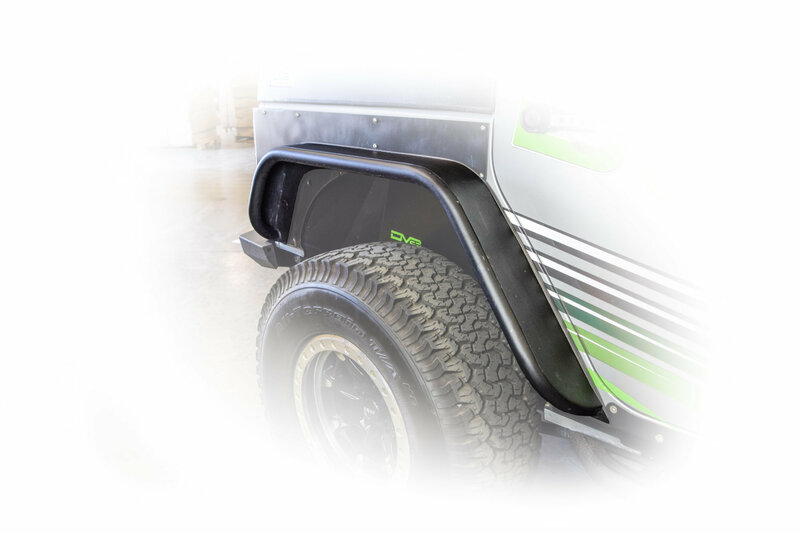 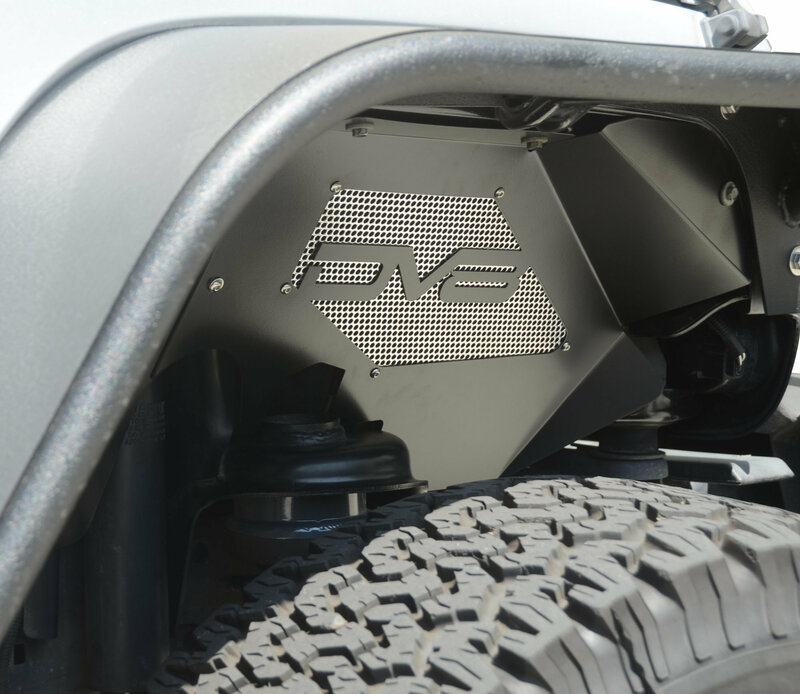 These aluminum inner fenders from DV8 Offroad are designed to protect your engine compartment when aftermarket fenders are installed. 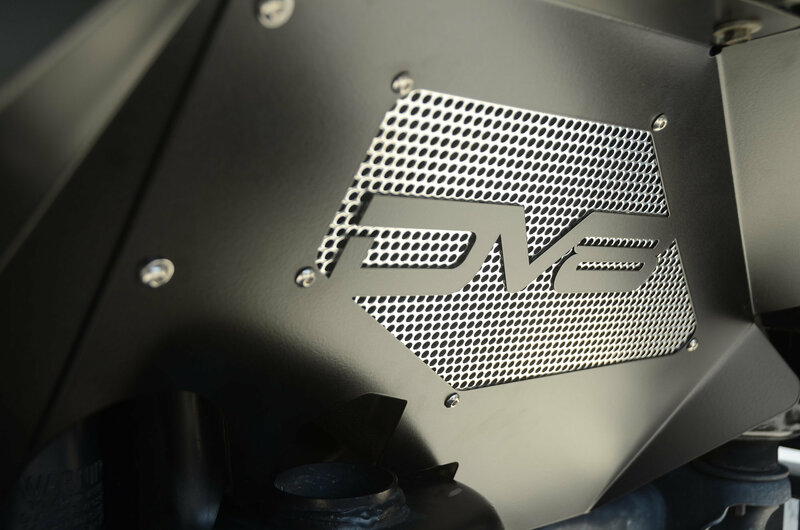 They provide better airflow and a clean, streamlined look.